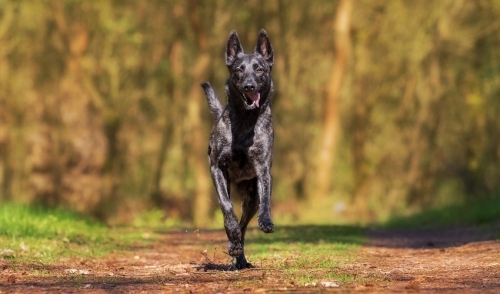 Is your dog always on the hunt? Keep your active pet on point with the tasty game they crave. Wild Heart™ is a delicious grain & gluten free meal formulated with quail meat (a great source of lean protein and vitamins B & C) and nutritious super foods including chickpeas, pumpkin, and sweet potato. Available in 4 Lb., 12 Lb., and 24 Lb. bags. Fill your dog’s day (and their bowl) with all the good things bird chasing dreams are made of. Wide-Eyed Dreamer™ is purposefully crafted with lean, farm-raised and iron-rich duck imported from France, potatoes and peas for highly digestible energy, plus healthy fruits and vegetables. Wide-Eyed Dreamer is ideal for dogs with moderate activity levels. Available in 4 Lb., 12 Lb., and 24Lb. bags. Fuel your early riser with the energy for all-day adventure! Sunday Sunrise™ is a delicious, purposefully crafted grain & gluten free meal with fresh grass-fed New Zealand lamb (full of iron and B vitamins), protein-rich eggs, fiber-rich sweet potato and peas, and super foods including pumpkin, cranberries and kelp. Available in 4 Lb., 12 Lb., and 24 Lb. bags. Why settle for gazing at the stars, when you can chase them? Star Chaser™ is for dogs who seize-the-day. 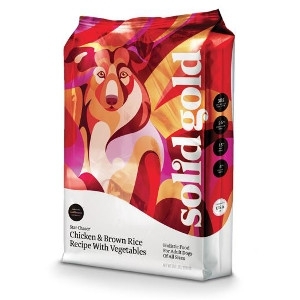 This meal is formulated with USA-raised chicken (a high-density lean protein that supports muscle strength), brown rice and pearled barley for healthy digestion, and wholesome fruits and vegetables. Available in 4 Lb., 15 Lb., and 28.5 Lb. bags. It may just be a walk to you—but to your dog, every walk is an epic exploration! Native Sun™ is the perfect recipe for dogs who live to run, romp, and roam. This grain & gluten free meal is crafted with flavorful grass-fed water buffalo meat (a unique, high-density protein) and sweet potatoes and chickpeas for digestion. Available in 4 Lb.and 24 Lb. bags. Make no bones about who’s the boss in your home—the littlest ones call all the shots. Lil’ Boss is a grain & gluten free meal that’s big on flavor and nutrition and small on kibble size—perfect for small breed dogs. This recipe is crafted with fresh USA-raised turkey (a deliciously mild protein), tapioca and fiber-rich farm grown veggies. Available in 4 Lb. and 12 Lb. bags. Dogs don’t hesitate—they jump into life with four paws forward! 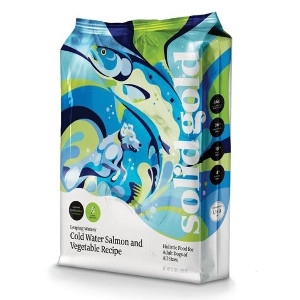 Leaping Waters™ is a purposefully formulated grain & gluten free meal that encourages your pet to leap without limits thanks to lean, cold water salmon from the Netherlands and farm fresh vegetables like carrots, spinach, and celery. Available in 4 Lb., 11 Lb., and 22 Lb. bags. Help your best friend live to the fullest—minus the extra pounds. Fit and Fabulous™, a low-fat, low-calorie recipe, is formulated with fresh-caught Alaskan Pollock that’s high in protein & Omega 3 fatty acids. Maintaining a healthy weight can help your dog avoid the effects of even moderate obesity, including poor bone and joint health, digestive upset and trouble breathing. 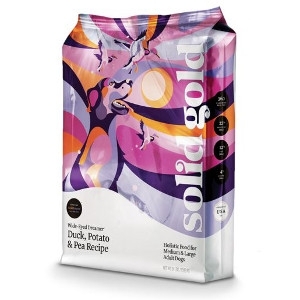 Available in 4 Lb., 12 Lb., and 24 Lb bags. Catching frisbees, tennis balls, or maybe that firetruck—these are the things doggie dreams are made of. 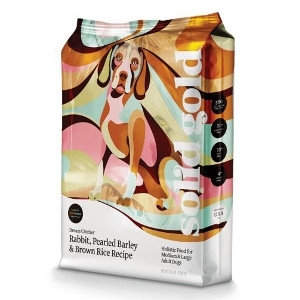 Dream Catcher™ helps your pet make dreams come true with rabbit from France, a lean and easily digestible protein, and healthy whole grains like pearled barley and brown rice for vitamins and minerals. Available in 4 Lb. and 24 Lb. bags. Whether they’re chasing wild game or wild frisbees, good nutrition keeps your dog’s eye on the prize. 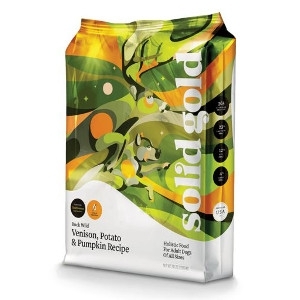 Buck Wild™ is a flavorful grain & gluten free meal purposefully balanced with venison from Australia for high-density lean protein, potatoes for highly digestible energy, and nutrient-rich chickpeas and pumpkin. Available in 4 Lb. and 24 Lb. bags. One look at those big puppy paws and you know you’ve got a wolf cub on your hands. Make sure your puppy is bound for greatness with Wolf Cub® ! 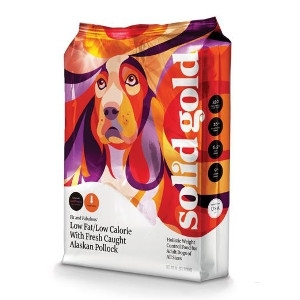 This thoughtfully crafted puppy food has controlled levels of calcium for healthy bone growth and the highest quality fresh bison to support muscle maintenance. Available in 4 Lb., 12 Lb., and 24 Lb. bags. Get your best friend back to their glory days! 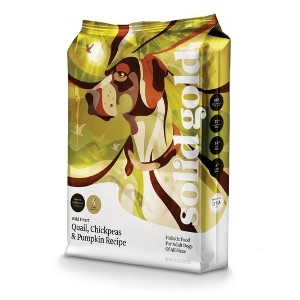 Holistique Blendz® is a low calorie, low fat recipe formulated for less active adult and senior dogs or those in need of shedding a few pounds. 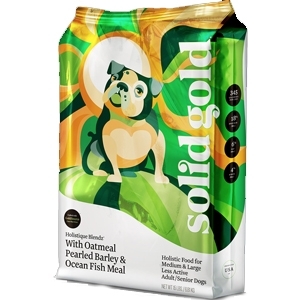 Made with nutrient-rich ocean fish meal and controlled levels of calcium, phosphorus and sodium—at the best levels for your pet’s health and happiness. Available in 4 Lb., 15 Lb., and 28.5 Lb. bags. Wee Bit™ is specifically formulated for small breed dogs with naturally higher metabolisms—and big personalities!. 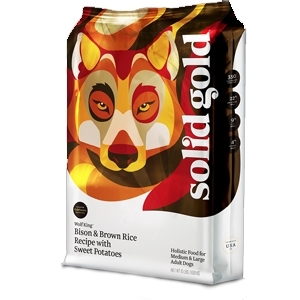 Each tiny, bite-sized kibble is perfectly balanced with fresh bison for protein and whole grains like brown rice and pearled barley for energy and digestion. Available in 4 Lb. and 12 Lb. bags. From fetching every stick in the park to barking with all their might at the moon, dogs have a job to do—and jobs take energy! Barking at the Moon® is grain and gluten free and the perfect protein-packed balance of fresh ocean fish meal and USA-sourced deboned beef. 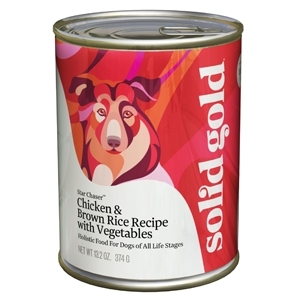 Add wholesome fruits and vegetables, and you have a meal that’s designed for high-performance pups. Our products are all natural, holistic, and do not contain any chemical preservatives. Available in 4 Lb., 12 Lb., and 24 Lb. bags. Puppies are a work in progress. 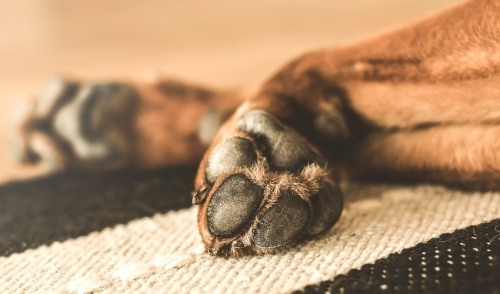 With Hundchen Flocken® , you can rest assured they’re starting off on the right paw. 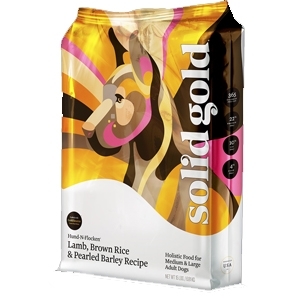 This delicious meal is specially formulated with the finest tender lamb from New Zealand (a high-density protein) plus whole grain brown rice to support optimal growth and development. Our products are all natural, holistic, and do not contain any chemical preservatives. Available in 4 Lb., 15 Lb., and 28.5 Lb. bags. This is the recipe that started it all. 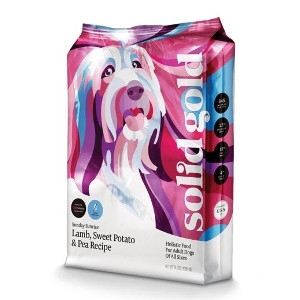 Hund-N-Flocken® was created in 1974 by Solid Gold founder Sissy McGill on her mission to provide holistic pet food that supports a healthy mind, body and spirit. 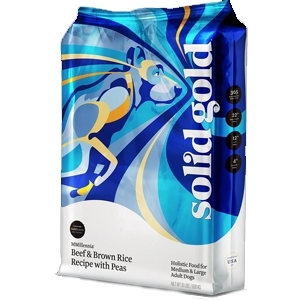 Made with tender and delicious New Zealand lamb (a high-density protein) and whole grain brown rice, this meal offers a healthy balance in every bite. Available in 4 Lb., 15 Lb., and 28.5 Lb. bags. If you need more reasons for you and your dog to do a happy dance, this grain & gluten free dog food recipe is blended with just the right amount of protein for both puppies and adult dogs! 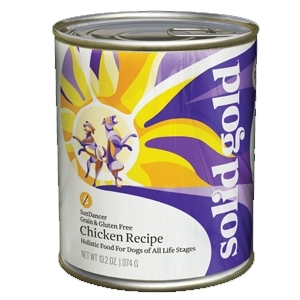 Sun Dancer® is a nutritional combination of chicken, egg whites and essential vitamins and minerals. Available in 13.2 Oz. cans. When dogs feel good, you know it! Give your pet another reason to do their happy dance. 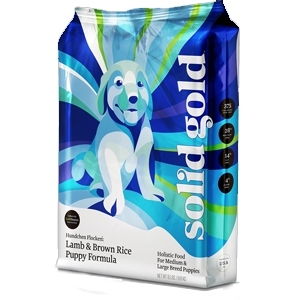 This mouthwatering grain and gluten free meal is formulated to keep your pup light on their paws. 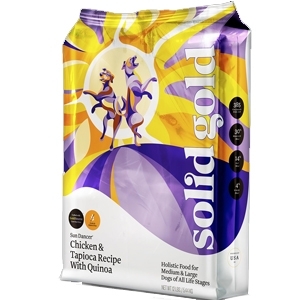 Sun Dancer® is crafted with protein-packed, USA-sourced chicken, tapioca for nutritious starch, plus omega-rich chia seed, turmeric and quinoa. Available in 4 Lb., 12 Lb., and 24 Lb. bags. 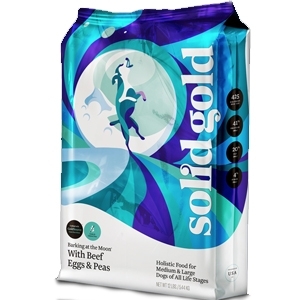 Looking for a food as unique as your dog’s dietary needs? Green Cow® Grain & Gluten Free wet dog food is extremely palatable and used frequently for picky dogs and those not wanting to eat. 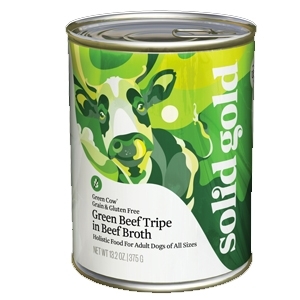 Green beef tripe contains partially digested plant matter, as well as naturally occurring gastric juices and healthy digestive enzymes. Available in 13.2 Oz. cans. They may be descended from wolves, but dogs need a different blend of nutritious, lifestyle-appropriate foods to lead the pack. 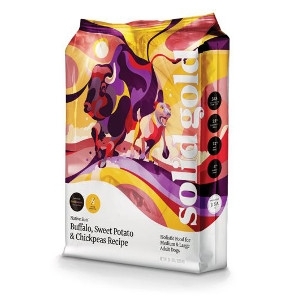 Wolf King® is a hearty, nutritionally balanced recipe, crafted with fresh bison, omega-rich ocean fish meal and sweet potatoes. It is designed to rebuild and maintain your dog's muscles, and do wonders for skin, coat and digestion. Available in 4 Lb., 12 Lb., and 24 Lb. bags. This is the mother of all recipes for dogs with big personality. 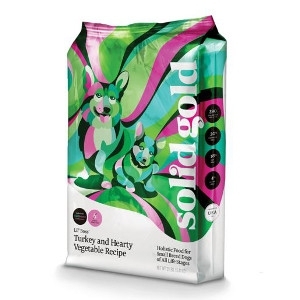 It’s packed with a star-studded lineup of special ingredients, sure to make your pet shine! 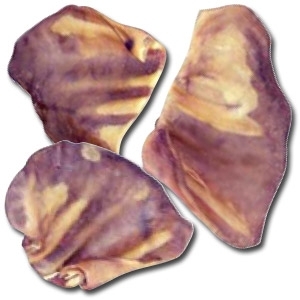 Deboned chicken provides high-density lean protein to build strong muscles, while healthy whole grains, like brown rice and barley, help support a healthy digestive system. Available in 13.2 Oz. cans. 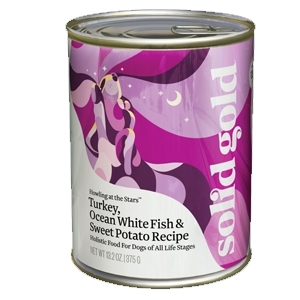 Howling at the Stars™ is designed with a carefully balanced combination of ingredients including turkey, ocean whitefish, brown rice and sweet potato. 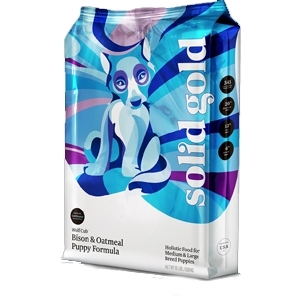 Perfect for both adult dogs and growing puppies, this carefully crafted formula is as versatile as it is delicious. Available in 13.2 Oz. cans. Does your dog go all day, every day? 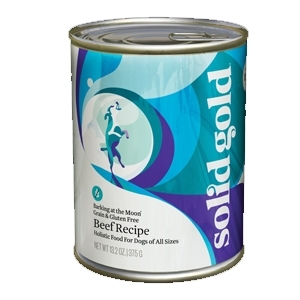 MMillennia® is a nutrient-rich recipe that supports strong muscles with two energy-packed proteins: hearty USA-sourced beef and omega-rich ocean fish meal. 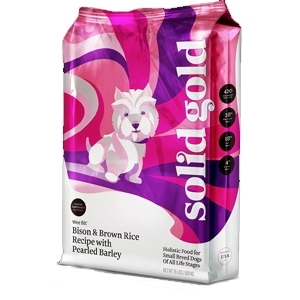 Whole grains, like pearled barley and brown rice, support healthy digestion and fuel your pet’s go-power. Available in 4 Lb., 15 Lb., and 28.5 Lb. bags.